This Interactive session will focus upon a collection of late medieval manuscripts and early printed books with the object of explaining their manufacture, aesthetic qualities, and the evolution from parchment to paper. A selection of choir books, manuscripts, individual leaves, and excised initials produced in France, Germany , Italy and Spain will be displayed. A comparison will be made with a precious copy of Dante’s Divina Commedia printed in Brescia in 1487. 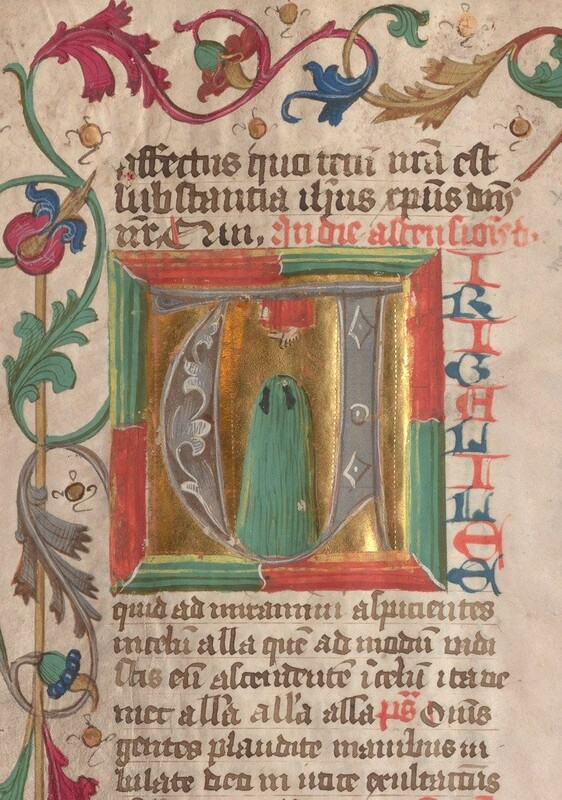 Image: Fragment of a 15th-Century Missal. Medieval Manuscript 169. McGill Rare Books and Special Collections.